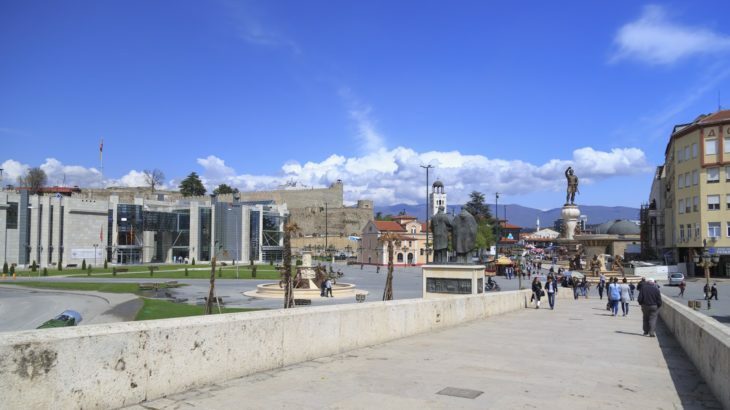 Skopje (Macedonia) is an interesting small European city with a population of 550 000. Along with its growing tourism sector, attractions include the historic Kale fortress located in Skopje’s Old Town, as well as Mother Teresa’s Memorial House. 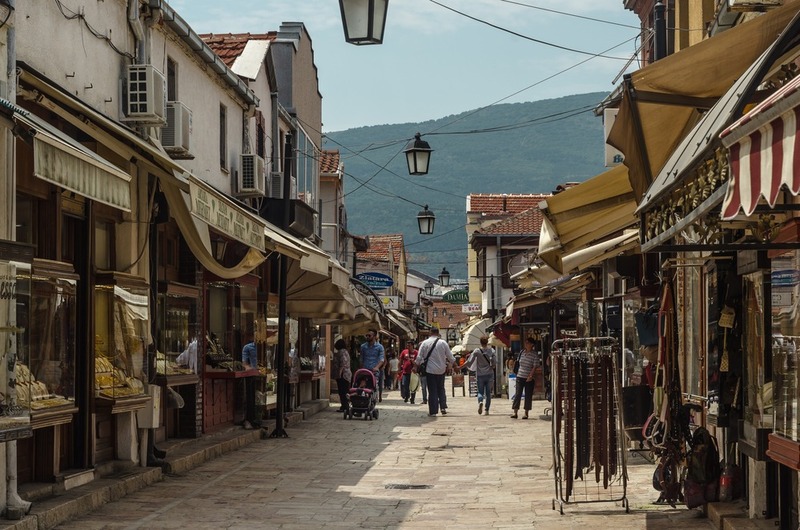 However, the best place to buy souvenirs is the Old Bazaar – a true cultural heritage site and one of the oldest and largest marketplaces of the Balkans. Macedonian cuisine is a healthy mix of traditional Mediterranean and European recipes. If you have a very sophisticated palate for international cuisine and fine dining, choices in Skopje may disappoint. Yet, authentic traditional Balkan restaurants (“Kafana”) compensate for the lack of international dining. Like most Balkan nationalities, Macedonians love meat and are passionate gourmands. Meat can be grilled, fried, steamed, sautéed, or roasted … you name it. Apart from kebabs, another stand-out meat option is pljeskavica. 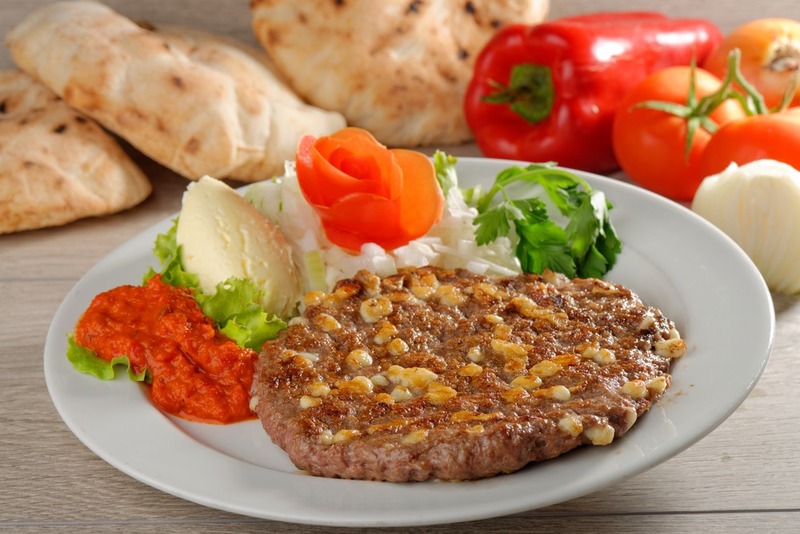 This is similar to a hamburger patty, served with lepinja flatbread. Apart from Skopje, it’s also popular in Serbia and the rest of the Balkans. 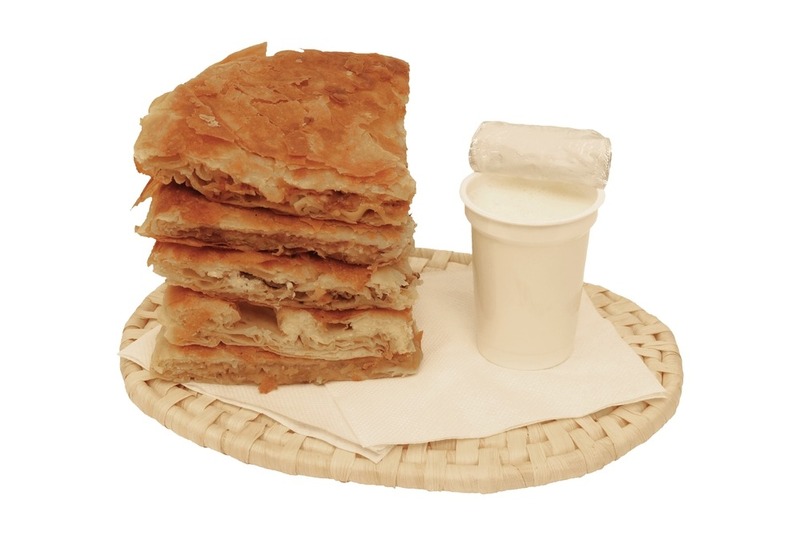 A typical local breakfast is Burek. This is a pastry filled with white cheese, spinach, or ground beef, and usually served with yoghurt. Another morning option is fried or scrambled eggs with the famous red pepper sauce, Ajvar (price: 2 euros). 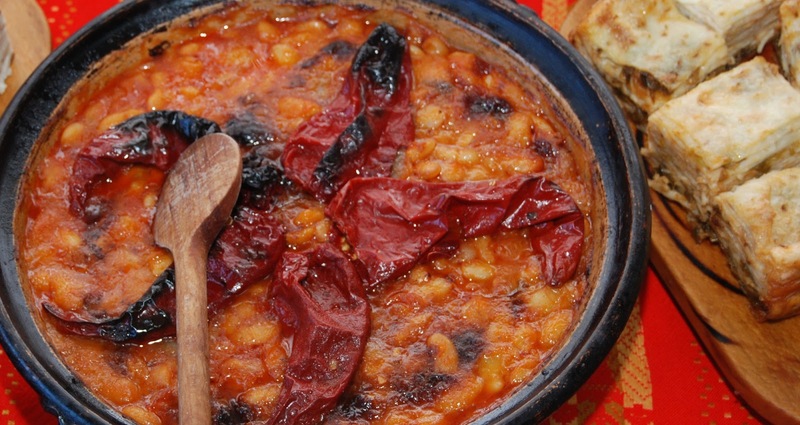 During the rest of the day, you may want to try the healthy traditional Macedonian meal: “tavce-gravce” – bean casserole served in a clay pot. Heaven for your palate and your pocket (Price: 1.50 euro). Small warning: Macedonians love adding garlic to dishes. Thus if you don’t love this pungent herb, be sure to tell your waiter. Buy locally produced, bio/eco branded, fruits and vegetables at one of Skopje’s many green farmers markets. It’s not expensive: 1 kg of apples goes for half a Euro. Fitness House has a variety of choices that will go well with your fitness plan and diet. Expect added protein, whole-wheat breads and wraps, plus a few keto-diet and vegetarian options. The friendly staff and reasonably large portions make customers come back for more. Located on a busy street with more restaurants and bars. Vegan 365 Kitchen is a small, vegan only restaurant that will satisfy your appetite with their menu of healthy varieties such as sunflower mayonnaise, sesame seeds sauce and vegan mozzarella. And the food tastes delicious as well. BistRaw is another option located not far from the busy center. With its catchy name, the homely ambiance is warm and welcoming to all hungry passers-by. The food is inventive and delicious, but a little pricey. Squeeze Me is a restaurant/smoothie bar in the center of the city serving healthy food. From smoothies and freshly squeezed juices to vegan options and takeaways – tempting to everyone passing by. Synergy is considered to be the most well-equipped fitness center among gym aficionados. It is a little pricey, but clean and spacious. Plus, they have a small bar outside where you can chill as well as a spa to relax in. They offer all kinds of nutrition for pre and post workout. The location is not far from the central railway station. Fitness & Bodybuilding Club Atleta is in the same area as Synergy. If you are into good old school bodybuilding, you can train for only 3 euros per single training session. Enjoy a nice workout and good level of service. Alexander Palace is a 5-star hotel, and their gym is known to keep high hygienic standards. It is not super busy like other gyms, showers are available after the workout, and there is parking. Fitness Club Fit where for 30 euros you get monthly membership and a personal coach. However, it is a small gym, and it can get quite busy during 5pm-7pm rush hour. Spa Center, Hotel Russia: This Spa offers a 22m pool, jacuzzi, hotbeds, Finnish sauna, infra-red sauna, Turkish bath (hammam) and a steam bath. They always have specials, and you may be able to enjoy a wine massage and a whole day spa pass for 30 euros. Synergy Fitness and Spa is another place where you can forget about stress. They offer a Finnish sauna, infra-red sauna, steam bath and a relaxation zone. Monthly enjoyment of their Spa center will cost you 50 euros. For additional 25 euros, enjoy a 60 min Table Thai Yoga massage. Skopje Marriott Spa and Health Club: Located in the city square – indulge in their body scrub, couple’s massage, foot bath, massages, man’s services, steam room, fitness consulting, facials and more. For 2 hours of recreation and relaxation, the price is 50 euros. Skopje has been the host of Health, Fitness & Wellness (HFW) Expo for four years in a row. The HFW Expo 2018 included an eco-friendly Street Workout tournament. If you arrive by bicycle, you get a free entry-ticket. More options for free entrance are to bring along recyclable waste (e.g. plastic/paper/cardboard) or at least two used batteries. Thus, if you happen to visit Skopje in September, be sure to drop in. Come to Skopje to experience traditional Balkan foods at affordable prices. After consuming your daily calorie count, balance it out by training in one of Skopje’s modern gyms. Then, end your stay in Macedonia with a relaxing massage and sauna session at one of the city’s top wellness spas. Author Bio: Health Travel Junkie is a blog focusing on helping you keep fit and healthy while you travel. Plus, we explore interesting local food and wellness trends in different cities around the world.